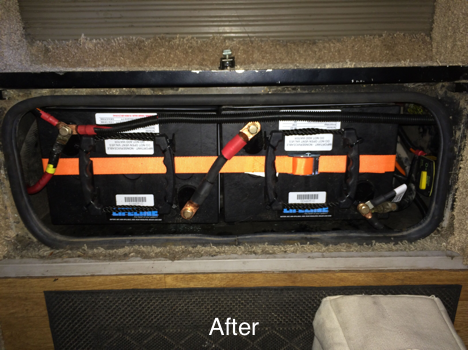 The pictures in this post show the steps we had to take in order to upgrade this client’s battery bank from two 12V wet cell batteries connected in parallel (150Ah) to their new battery bank comprised of two 6V Lifeline AGM GPL 6CT batteries (300Ah) connected in series. The battery bay was too small to accommodate the new AGMs without modifying the bay lid. 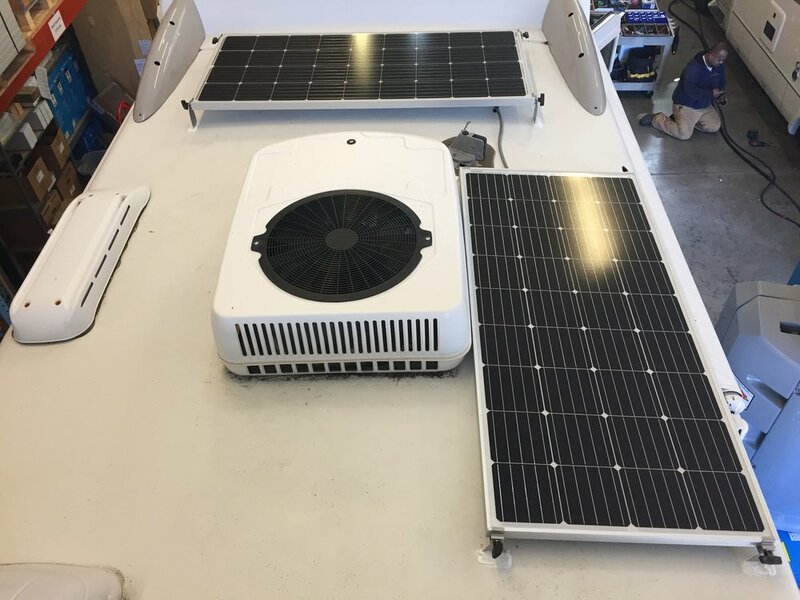 A plasma cutter was used to remove most of the metal top of the battery bay so that the battery terminals would not touch the metal lid. Now there is just enough room for the new the batteries to fit, thus doubling their battery capacity as a result.